On the 4th of December 1159 the Caliph al-Muwahalid Abd-al Mu'min1 Emir of the Believers and - despite his many shortcomings - the True Faithful of Allah, found himself spending some quality time well away from the exhausting business of besieging the city of Al-Mahdiya in Tunisia. He had been reviewing his thoughts on Jabal Tariq, a rocky piece of real estate in al-Andalus2 and he had come to a decision. He summoned his scribe and instructed him to write a letter3 to his son Abu Said Utman, who happened to be the Governor of Granada. There were to be copies to his other son, Abu Yaqub Yusuf, Governor of Seville and to all the T'alibs of the area, learned Moslem scholars every single one as aggressively conservative in the traditions of Islam as he happened to be himself. 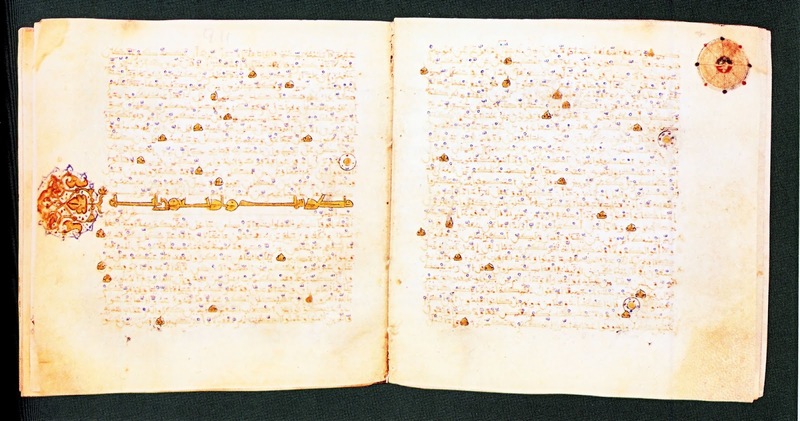 Mid 12th century Almohad koran - Abd-al Mu'min Probably carried one very like this one on him all the time. In beautiful Arab script, and from right to left, the scribe carefully wrote down his master's dictation. The preamble was abrupt which was unusual for the flowery conventions of 12th century Arab letter writing. Abd al-Mu'min was a man in a hurry. 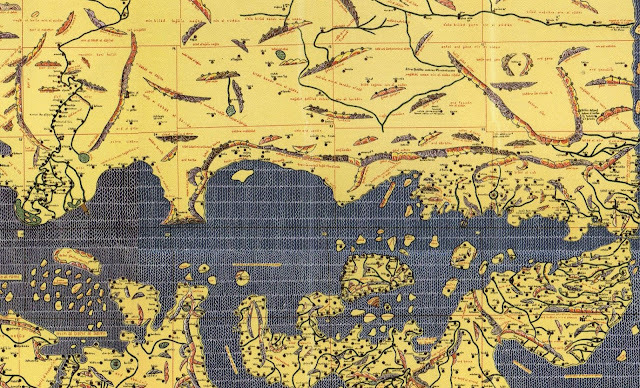 He wanted a city to be built - immediately - on the mountain of Tariq, a large uncomfortable Rock that dominated both sides of the Straits between Africa and Spain and was situated rather conveniently where the Mediterranean met the Atlantic. Abd al-Mu'min, wrote the scribe, was prepared to finance the project properly. He wanted to fortify it in such a way that it would become invulnerable. And yet again without ever knowing it himself, he set in motion an obsession that would continue for nearly a thousand years - the expensive renewal, modernisation and upkeep of some of the most impressive fortifications on earth. 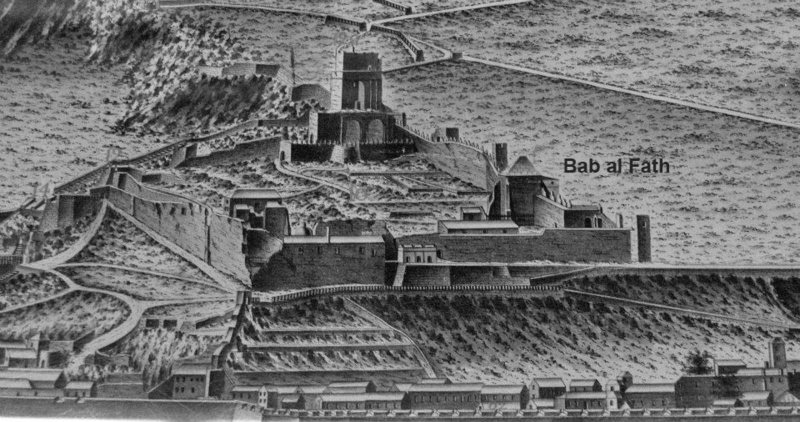 From Abd al-Mu'min onwards, the name of Gibraltar would never be mentioned again without conjuring up visions of bastions, battlements, counterguards and line walls, and every other piece of military paraphernalia associated with a massively fortified - and fought over - city. A clever and a crafty man, the Emir was already one step ahead of his scribe. Well before the ink had even had time to dry, a couple of trusted architects and engineers called Sheik Abu Ishaq Barraz ben Muhammad7 and al-Hajj Ya'ish8 had already arrived on the Rock for a preliminary survey. They had been sent with precise instructions as to what he wanted done. The letter was duly delivered and Abu Yaqub Yusuf, the Governor of Seville, taking his father's instructions with the seriousness that he knew from experience he would have to give them, immediately ordered his best architects, carpenters and plasterers to travel to Gibraltar. He also sent his most trusted scribes and accountants. He wanted to keep track of the enormous expenses that he knew such a project would inevitably entail. As a further precaution he sent a large number of soldiers to keep them company. In a very short space of time anybody of any importance in the southern areas of Al-Andalus found themselves, if not on the Rock itself, at the very least somewhere close by. The Governor of Jaen was among them. Meetings were set up and decisions were then taken. Al-Hajj Yaish was appointed as overall town planner. Ahmed ibn Basu - perhaps the best Moorish architect of his generation - was commissioned to give him a hand at overseeing the entire project. One of the remits given by the Emir was to determine exactly where the town should be built and a fateful decision was taken to do so on the north west corner of the Rock.9 It has remained there ever since. Yaish and ibn Basu began work on the 19th May 1160 following the Emir's instructions to the letter while Abd al-Mu'min himself remained in the Maghreb subduing what few of his remaining enemies required it. His methods tended to be direct and simple - and secretive. Abd al-Mu'min disembarked from his galley on to the small red sandy beach on the north west end of the Rock. He was greeted with great pomp and ceremony receiving homage from just about everybody of note in al-Andalus. He was an easy man to pay homage to. His love of grammar and literature preceded him and the welcoming party included numerous orators and poets. One of them, Abu Giafar ben Said of Granada, had taken the trouble to prepare a panegyric verse in his honour. The following is a very small section of a very long poem. 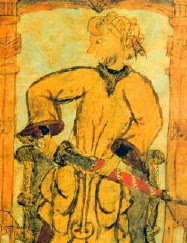 Del ínclito Tariq, de Muza fiero. Another poet who came well prepared was Abu Abdallah ibn Ghalib Arrossafy. His work focused on Jabal Tariq without actually naming it - which may have been to his advantage as the Rock was about to change its name. The following is a translation of the last few stanzas. His plans for a castle which he himself had drawn and designed with such care and precision had been followed faithfully15 - with the unfortunate result that it was nowhere near as strong a fortress as it should have been. Abd al-Mu'min may have been a great warrior with a genius for war but he was no architect. To the casual observer his castle could easily be mistaken for a heavily fortified corner tower on the north-eastern section of one of the town walls. Rocky outcrops in this part of the Rock and the general layout of the land had made it impossible to build it any further up the slope. The end result looked more like a watchtower than anything else. Perhaps not wanting to be reminded that this was a consequence of his own planning, Abd al Mu'min moved on without commenting. In any case, the walls surrounding the keep and town looked impressive.16 Unlike the Emir, Barrash and Ya'ish, not to mention ibn Basu, knew what they were doing. 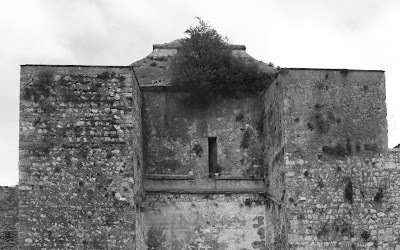 The only means of entering the complex was through a single entrance on the south facing wall.17 It was a particularly imposing structure lying somewhat to the south-east of the castle. One of the party pointed out the inscription just above the gate itself showing the date when it had been completed. Modern remains of the gatehouse, once Bab al Fath. The gate itself has been filled in but the two defensive towers still stand. Back through the gates to return to the town, they took a small detour and arrivied at a rectangular room on the second floor of the gatehouse. A single window gave out towards the south allowing Abd al-Mu'min once again to admire his newly named Jabal al Fath from yet another angle. From the top of one of the towers Abd al-Mu'min was able to take in an interesting perspective over the rest of Madinat al Fath and its surrounding defensive walls. To the east of the extensive gardens that had been created below the castle keep, were the principle buildings of the town - a mosque, a large residence for Abd al-Mu'min himself, and several other smaller ones for his guests and visitors. On many of the buildings celebratory flags and banners carrying the Almohad flag with its distinctive chess board pattern on a red background were fluttering backwards and forwards creating a sense of wonder and excitement. Here and there Abd al-Mu'min was pleased to see that certain choice plots of lands had not yet been built on. The Emir had designated certain areas to be kept in reserve in case any of his cronies might later wish to build a home in Madinat al Fath.22 Lower down the Rock there were the smaller houses and temporary accommodations for the very large number of workers that had been needed to complete the work in such a small period of time. As the entourage moved out of the gatehouse and on to open ground, the architects proudly explained to their boss the finer details of their work. Even that part of it that was not visible was a work of art. The foundations of the buildings, for example, had been created using carefully constructed arches and domed structures. It was this that had allowed them to build the mosque and the other main buildings on level ground by eliminating the natural slope of the land below the castle. The following day, the T'alibs accompanied him to the mosque. It had been built in the form of a square with an adjacent courtyard with a several colonnades of brick pillars. On one of its walls there was an inscription dedicating the building to Allah. Just before entering the place the levanter clouds that had been hanging heavily over the Rock since the Emir's arrival, cleared revealing an odd structure on what was then thought to be highest point of the Rock. What on earth, asked the great al-Muwahalid Abd-al Abd al-Mu'min, was that! A short silence and the architect, al-Hajj Ya'ish, was more or less pushed forward to the front to explain. A rather chastened Ya'ish told Mum'in that he had noticed that the top of what he carefully remembered to call Jabal al Fath, was always windy. He had thought it might be a good idea to build a windmill there.24 Surprisingly Mum'in failed to be impressed. Had anybody considered the problem of how they were going to get anything up - or down - that steep precipice? In an attempt to deflect attention from the awkward silence that followed, Abu Yaqub opened the doors of the mosque. His father, he knew, was a rabidly enthusiastic religious bigot to whom all forms of alcohol were the drink of the devil and music the epitome of all evil. He thought nothing of whipping females who went about without their veils. Perhaps the mosque would put him in a good mood. It did. The inside had also been designed by Ya'ish. But if the windmill had failed to impress him, the mosque surpassed his expectations. The main Mimbar was of extraordinarily fine workmanship as were most of the other fittings but the most striking object was a sort of chapel that was able to move of its own accord from one place to another. 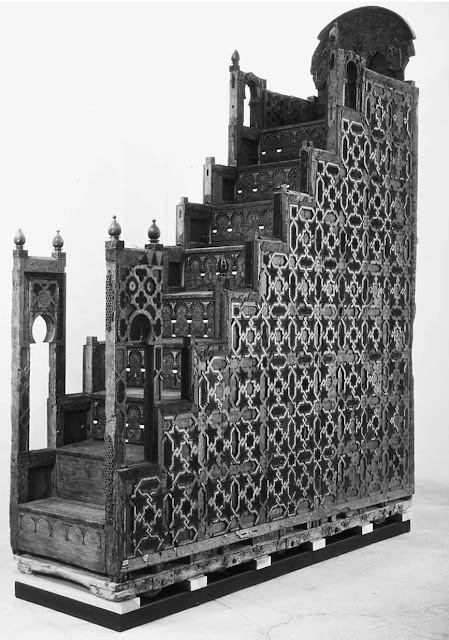 The Mimbar of Koutobia in the mosque of Marrakesh - a superb example of Islamic art - created by al-Hajj Ya'ish. Could the one he created for the mosque of Madinat al Fath have been similar? Yet another day was spent on an inspection of the northern defensive walls of the town and castle. The sheer steepness of the Rock in this area had again proved a real challenge for Ya'ish and his colleagues but a solution had been found and, as the good architect was able to explain to his master, in the end it had proved a simple one. Abd al-Mu'min could see the end result with his own eyes. The wall was built in sections, one part following the slope, another parallel to it forming a meandering line from the castle right down to the sea.26 It was a system that would later be put into practice in other Almohad strongholds such as those in Seville and the Alcazaba of Rabat. The single gateway27 through these defensive walls was considerably smaller than Bab-al-Fath but no less impressive. The style was similar as it consisted of a pair of defensive towers which finished off the final bend of the wall and was accessible from the town rather than from the castle area. The gate itself formed an elegant arch.28 At the top Ahmed ibn Basu' Baso's master stone masons had engraved a picture of a key surrounded by flowing arabesques. It was a powerful Islamic symbol. Muslim believers were required to travel through the single pathway of the true faith if they were ever to obtain the keys to the gates of paradise.29 The inscription met with Abd al-Mu'min's instant approval, although he was less pleased with its name, the Gate of Granada. Perhaps he was irritated both by the fact that it did not actually face the general direction of the city of that name and that it seemed to honour his son Abu Said rather than himself. The next day, the Emir and his entourage were supplied with high spirited Arabian horses imported from Africa. The Moors had always considered them as ideal animals for battle and for war. Today they would be used for pleasure. They passed through the gates and rode down a gentle slope until they reached the isthmus, a flat featureless area of whitish sand with the Bay to the West and the Mediterranean to the East. As they all admired the imposing north face of the Rock, Abd al-Mu'min was told that in the past the sea had flooded the isthmus periodically making Jabal al Fath an island30. Returning home the Emir mentally congratulated himself on having chosen such an impregnable place to build his City of Victory and gave thanks to Allah the All Merciful for having allowed him to do so. The cool winter weather and the stunning scenery made the trip a pleasure rather than a chore. 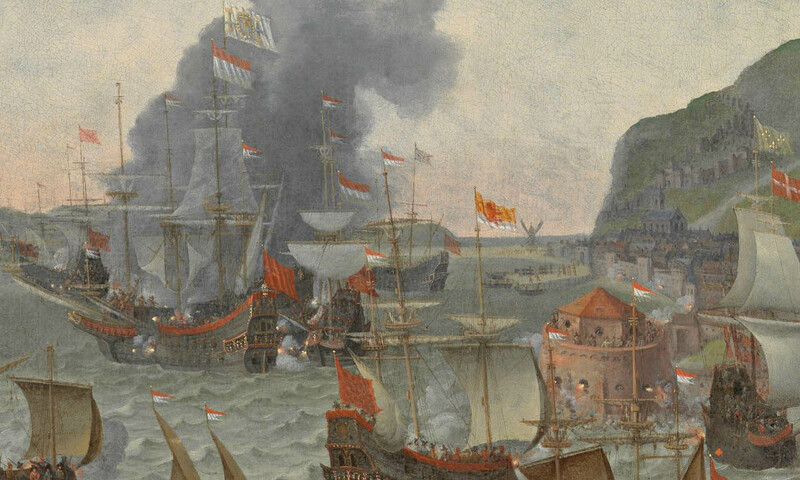 Between the Rock and the Moorish town of Al-Jazira Al-Khadra across the shimmering brightness of the Bay, several Moorish Galleys, perhaps from Ceuta, more likely from Seville, were entering the Gut. They were bringing in supplies to feed and entertain the huge entourage and its many servants and workers. The Berbers are fundamentally a desert people to whom the sound of running water is an echo of paradise - and Abd al-Mu'min was a true Berber. For him perhaps this was the highlight of the tour. He both watched - and listened - with pleasure as the water cascading down the mountain-side. Almost miraculously, it neatly ran into a series of small ditches that allowed the water to flow down the natural slope on towards the main conduit. From there, Ya'ish told his Emir, it was carried by pipes along the red sands to a specially manufactured tank inside the city complex. The wells, he said, produced enough water to supply both men and beasts and could be used to irrigate both the gardens of the town and others outside the city walls. The positioning of the reservoir was also convenient for the provision of for his Moorish galleys. Abd al-Mu'min stayed in Madinat al-Fatah for two months33 enjoying the company of the Governors of the surrounding Moorish cities and perhaps exploring the Rock's many other natural delights. For a man like Abd al-Mu'min who must have been faced with the endless hassle of controlling the many uncooperative provinces of his African empire, staying put in one place must have been unusual to say the least. But he felt at home in Madinat al Fath, and he was proud of his brand new city. Detail of Tabula Rogeriana with European script. Although Algeciras, Ceuta ( Sebta ) Tetuan and Tangier are shown, Gibraltar is missing. For the non-specialist amateur historian, tracing the 12th century Moorish origins of the town of Gibraltar is a nightmare. Records are thin on the ground, original documents in Arabic have either never been translated into any European language or if they have, are only available to scholars using important international libraries or prohibitively expensive books. To make matters worse one needs to have a certain familiarity with the history of the Moors from the 8th century right through to at least the 14th with the added complication of the many spelling alternatives given by different authors to the main characters involved. The following footnotes list the resources I used to write my semi-fictional account of the building of Madinat al Fath. 1. Al-Muwahalid Abd-al Abd al-Mu'min, was also known as Abdelmoumen El Goumi - and by me as Abd al-Mu'min. He became the first Emir of the Moorish Almohads in 1149 AD after destroying the Almoravid dynasty both in North Africa and in Spain. He is credited, perhaps over generously, as having been the first Arab leader to unite the countries of the Maghreb on the Mediterranean coast as well as almost the whole of Iberia. The literature confirming this is too vast and wide ranging to go into here. The Almohade force . . . then directed its march upon Jabal Tariq, which surrendered in like manner, when the troops passed on to Xeres. Several other sources, however suggest that Mu'min himself was involved in the original Almohad raid against Algeciras and Gibraltar. I have opted for the former possibility on the grounds that it sounds unlikely that Abd al-Mu'min would have taken such a personal risk at that particular moment in time. Besides he had business elsewhere in Africa. 3. The French historian Étien Levi-Provençale is the man responsible for having found the original letter. Here is an English translation of the original. . . from the camp of the Almohades outside al-Mahdiya, 20 of l -qa'da 554 ( 4th December 1159 ) - The sovereign informs his correspondents that, although he is engaged on the jihad in the east of North Africa, he has not forgotten about the problems of al-Andalus, and that he has decided to build a city on Gebal-Tariq, which is situated in the junction between the Mediterranean and the Atlantic and is central for both sides of the Straits; he proposes to endow this foundation with all kinds of advantages and to make it invulnerable. He has therefore sent to that place the sheik Abu Ish'aq Barraz and the H'ajj Ya'ish. He orders the recipients of this letter to go themselves to Gebal-Tariq accompanied by the Spanish sheiks of their dominions. There they will find the T'alibs of Seville and other messengers of the sovereign. They will decide there on the exact spot that they consider best for the foundation of the new city. The sovereign adds that he has written to the eminent sheik Abu H'afs asking him to attend this meeting on the very site of the new city, as soon as possible; and also to the sheik Judge Abu Allah Ibn Khiyar. The sheik Abu Ish'aq Barraz and the H'ajj Ya'ish have all the necessary instructions. Abd al-Mu'min's letter is also well documented by Ibn Sahib al-Sala probably the most important chronicler of the Almohad dynasty. He wrote during the time in which Madinat-al-Fath was being constructed and almost certainly visited the place after it had been built. Llegó la orden ilustre de edificar una ciudad grande con el más completo permiso de Dios y su ayuda ... le mandó traer en la carta noble, y lo mismo al Sayyib ilustre Abu Ya'Qub de Sevilla, que reuniesen a todos los obreros albañiles y de yeso y carpinteros y a los alarifes de todo al-Andalus que estaban bajo el gobierno de los Almohades y que se apresurasen en llegar a Jabal-Tariq para cumplir la orden suprema. Se tomarían todas las medidas de gobierno y acudieron a ello gran número de soldados y caídes y contadores para dirigir los trabajos y registrar los gastos de la obra y para activar esto y llevarlo a cabo . . y fue desde Sevilla el alarife Ahmad b. Basa con todos sus albañiles y su similares y obreros que ayudasen y obedeciesen. The mount of conquest is the citadel of Islam, an obstruction struck in the throats of the idolaters. From it began the great conquest and at it disembarked Tariq ibn Zayed, the freedman of Musa ibn Nusayr . . . Its name is linked with his and it was called Jebal Tariq. It is also called the Mount of Conquest because the conquests began there . 5. Prior to Mum'in, the Moors seem to have thought of Gibraltar as nothing more than a spectacular piece of geography of little worth other than as an attractive symbol of their conquest of the Iberian peninsula. 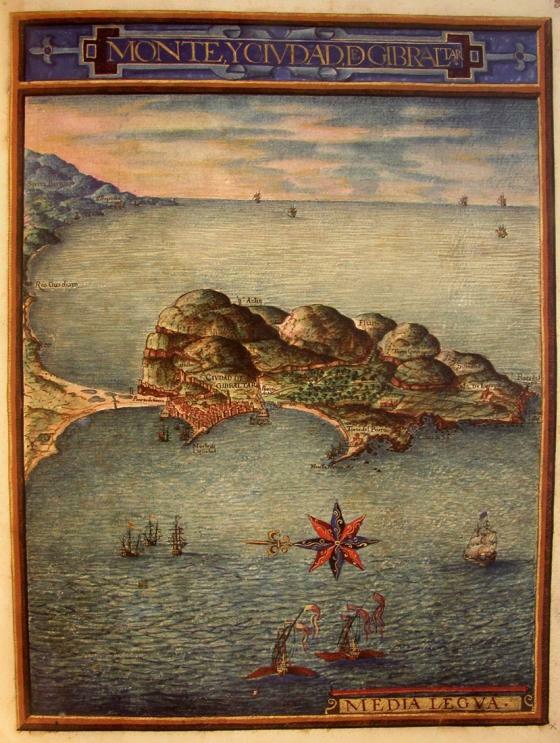 Throughout the centuries after the conquest if ever they need a base in the Bay they opted for Algeciras. 6. Tariq Ibn Ziyad was a Berber General who with a little help from Visigothic traitors crossed the Straits and began the war that lead to the Moorish conquest of Spain. As he happened to land on or near Gibraltar his name is associated with the Rock, The word 'Gibraltar' originally being a Spanish corruption of the Arabic Gebal Tariq or the mountain of Tariq. That Tariq never thought all that much of the Rock as a base is borne out by the fact that if he actually did set foot on it is was for a very short time. Nor does it seem that he ever gave any thought to some sort of permanent settlement there. Nevertheless, the 14th century Moroccan author of the History of the Magreb - Ibn Idhari al-Marrakusi - wrote this rather incomprehensible paragraph on the activities of Tariq and his men while they were o the Rock. When the Muslims, Arabs and Berbers crossed the straits, they disembarked on the port and tried to climb the cliffs of the Mountain. To make it easier for themselves they levelled the pathways with their battle-axes and rode over them on horseback to the top of the mountain. There they constructed a wall to defend themselves. They call it the Wall of the Arabs. 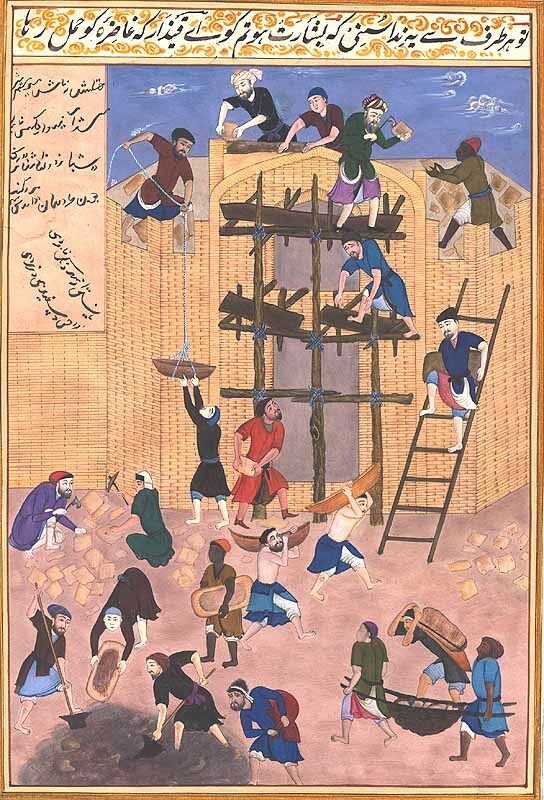 Another 14th century scholar and poet, Ibn al Juzayy had actually seen the wall for himself. One can see the remains of the wall that the leader (Tariq ) and his men had constructed there. It was called the Wall of the Arabs. I have seen it myself during my stay there at the time when the Christians were besieging the city of Algeciras. This wall might be one of those elusive Moorish ones that keep cropping up in the literature. His use of the present tense ' they call it' - means that it should have been standing at the time when Madinat al Fath was built.
. . . it was only for temporary use, and after he had captured the area of Algeciras he abandoned it. 7. Sheik Abu Ishaq Barraz ben Muhammad was the architect responsible for the Mesquita of Seville. Abd al-Mu'min obviously believed in employing the very best that money could buy. 8. Al-Hajj Ya'ish was a much sought after builder from Malaga. The 'Hajj' that formed part of his name indicated that he had made his pilgrimage to Mecca. Despite the fact that most of his work had been done under the hated Almoravid dynasty, Abd al-Mu'min felt he really couldn't do without him. Which could be either in the northeast or the southeast and is therefore of no use. I can find no other direct references as to where exactly Madinat-al-Fath was built. I have therefore taken the easy way out and described the place as conventionally agreed upon on the grounds that future architectural improvements and additions - all of them in the north - would have probably more or less followed the plans of older foundations. But not everybody agrees. The British Historian George Hills ( see LINK ) thinks that is very likely that the foundations of Madinat-al-Fath were not dug on the northern area but well south of today's Charles's the V Wall. The argument is based on the lack of any archaeological evidence for any 12th century structures left standing in the north but that the remnants of an old Moorish wall identified in the literature as the Coral de Fez is known to have existed around the area of the ancient Torre del Tuerto. This, he suggests might be a more likely candidate for the place where Madinat-al-Fath was built. His argument becomes more believable when we realise that he thought that hardly anything of Madinat-al-fath had actually been built at all. This is based on two premises. The first that there simply wasn't enough to time to finish everything in six month and the second that when Abd al-Mu'min died in 1163 one cannot imagine that his successor, his son Yussuf, would have had much time for an old man's dreams. 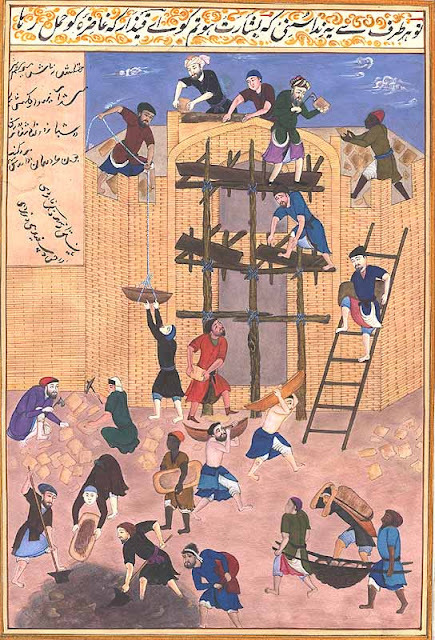 Yussuf may or may not have shredded his father's letter after he had taken over the shop, but he did move to Seville making absolutely sure that ibn Basu went with him. 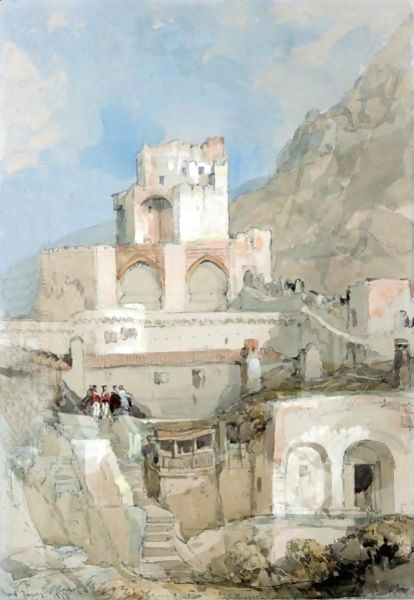 Living in luxury among the fragrant orange tree blossoms of the famous Patio de los Naranjos must have been more than enough to make him forget all about Madinat-al-Fath and the unfinished or perhaps never properly constructed castle on the hill. An even more modern historian Maurice Harvey writing in the year 2000 tends to agree with Hills in that he thought that very little of the original plan was actually carried out. He also suggests a far more modest castle than the present one. He also mentions a section of wall above Charles V which might date from this period. As he is probably referring to somewhere in Flat Bastion, this means that Madinat-al-fath was built well to the south of what one would expect. Alonso Hernandez del Portillo offers Hills and Harvey some support - albeit somewhat indirect. Coriose aquí junto con el baluarte del Rosario un lienzo de muro de los antiguos, en la cual estaba una puerta morisca muy galana, que llamaban la Puerta de Algeciras donde estaba otra llave como la que dijimos verse hoy en la Puerta de Granada y de aquella misma fábrica.
. . . De aquí adelante está este muro caído y destronado por muchas partes hasta llegar a la Torre del Tuerto, la cual como decíamos es de fabrica más antigua que de los otros; aunque unos aposentos que están fuera de la torre y mejor parados con ella parecen Moriscos; a lo menos renovados por los moros. . . . Esta torre es de fabrica, o tiene forma pentagonal . . . 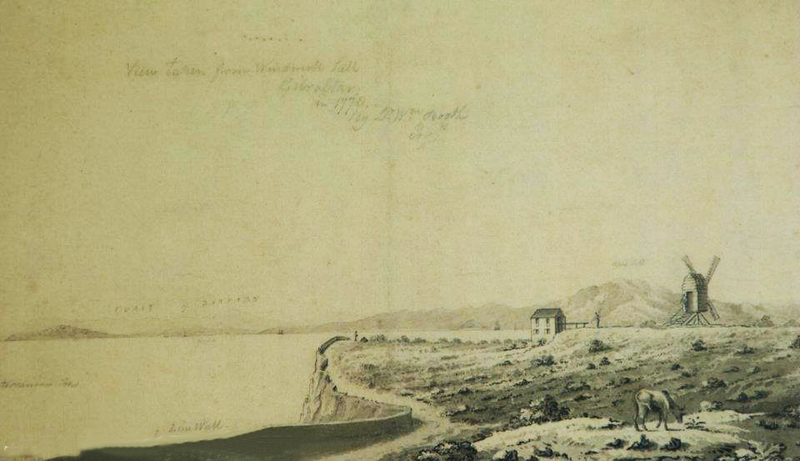 The wall in question was a sea defence running from what is today Charles V wall right up to the New Mole. La Puerta de Algeciras was a passageway through the wall facing the town of Algeciras. More to the point, according to Sáez Rodríques polygonal towers were a feature of Almohad architecture yet there have never been any such towers within the confines of the town. Could the old Torre del Tuerto and the rest of the Moorish walls in the south have been part of the real Madinat al Fath? Another more recent work in on Gibraltar by local Historians Darren Fa and Clive Finlayson adopt the conventional point of view but offer no sources. They also half suggest that a good number of the elements that made up Madinat-al-Fat's defences would have 'evolved over time to incorporate succeeding developments of both Spanish and English Engineers.' All of which leaves us in no doubt that they do not take either Hills nor Harvey too seriously. Ángel Sáez Rodríques is also pretty blunt. . . aprovechó la orografía del terreno para ocupar un emplazamiento ventajoso. . . Su ubicación en la parte norte de la ladera occidental de la montaña permitía el dominio del acceso terrestre por el istmo y, al avanzar sus murallas hasta la bahía, acabaría por cerrar la vía natural de llegada desde el territorio peninsular. I have swallowed my revolutionary tendencies and have voted Tory. 10. In so far as Abd al-Mu'min's personality, there are again too many sources to quote here but Arabist experts are mostly of the opinion that Abd-al Mum'in was a nasty piece of work who took personal delight in destroying the philosophy of convivencia by persecuting Christians and Jews with equal relish. The 19th century Spanish historian José Antonio Conde, quoting extensively from Moorish gives several examples of his cruelty. A la entrada del rey en Medina Telencen, ( Algeria ) prendió y encarceló al Visir Abdelselen . . . y le mandó a dar veneno en un vaso de leche . . .
Al Abd al-Mu'min disembarked at Gibraltar from North Africa on the 2 November to receive the homage of all the Muslim princes and nobles of al-Andalus and to inspect the site of the city. Unfortunately he gives no reference. Abdelmumin ruled with wisdom and goodness. He excelled over all the Almohads in his virtue, knowledge, piety and horsemanship. The colour of his skin was white, and his cheeks were reddish; he had dark eyes, a tall stature, long and fine eyebrows, an eagle nose and a tick beard. He was fluent in speech, familiar with the sayings of the prophet, well-read and indeed learned in the things of the faith and of the world, and a master of grammar and history. 12. To read the entire verse see Historia de la Dominación de los Arabes en España by José Antonio Conde and published in 1840. And their golden rays caress it. In the forests of time and the passage of centuries. And continue on the road singing glad songs. On its past, its present, and it future. In grave and thoughtful silence, hiding many mysteries. Although all other mountains in the world tremble. The reference to the levanter will be familiar to Gibraltarians. Appropriately this version avoids a plea for peace. Fate had other plans for Madinat al Fath. 15. Those hand-drawn plans for the castle are nowhere to be found and what little evidence there is for it is confusing. 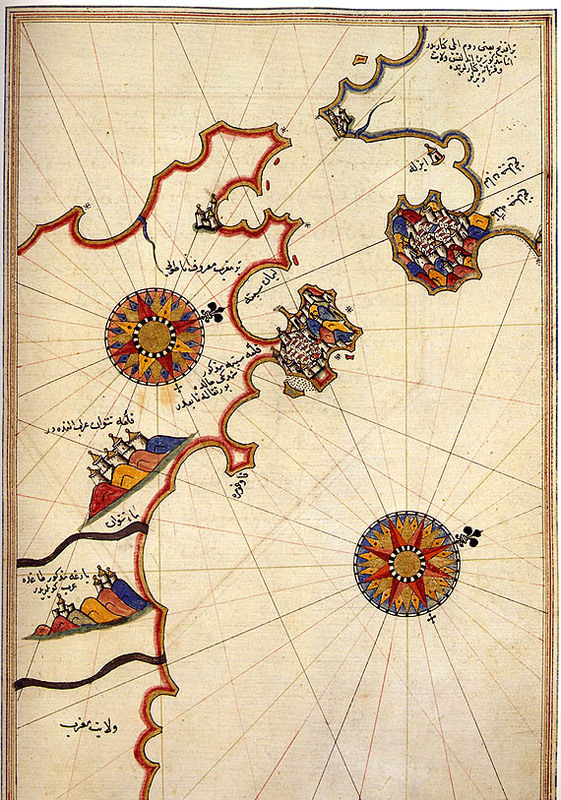 The 17th century Algerian historian The Ibn Mohamed al-Makkari ( see LINK ) , for example, muddies the waters with two short and ambiguous statements. Moorish castle in the mid 19th century. None of this would have been part of Abd al-Mu'min's tower. 16. The 18th century Spanish historian Ignacio López de Ayala ( see LINK ) - that endless source of non-British material for British historians - also had something to say about the castle.
. . . of its ancient precincts there remains only the Tower of Homage on the first wall, some of the foundation of the second and part of the third on the north side . . .
. . . consisted at first, as is customary with Moorish castles, of three wall, stretching down to the arsenal on the beach and on its southern gate is an inscription, showing the date of its erection. If Ayala is right it would probably mean that the western side of the town with its houses, mosques and palace would be facing an unprotected sea shore. Four wall forming some sort of rectangle would have seemed more likely.
. . . ordered that the town should be enclosed by a wall with a single gate . . .
Sáez Rodríques gives us a very full description of the southern gate. It faced south and slightly east of the main castle with a rectangular tower-like opening and incorporated into the main line of fortifications with two defensive towers on either side. The passageway through the gate had four sharp bends. There was also a top floor to the main tower in the shape of a rectangular room with a single window giving out into the castle precinct. As far as I can make out this is a description of what we know today as the Gatehouse. Torres Balbás goes into greater detail. He also insists that there was only one entrance to the place - a strongly fortified gate which was given the name of Bab al-Futuh - the Gate of Conquest. It is a curious name. Local historian Tito Benady, for example calls it the Bab al-Fath - the gate of Victory. He isn't the only one. My non-existent knowledge of Arabic does not allow me to say whether Fath and Futuh are simply different spellings for the same thing - but in English there is a distinction between 'Conquest' and 'Victory'. Another much more famous Bab al-Futuh was built in Cairo a hundred years earlier. It is still extant. 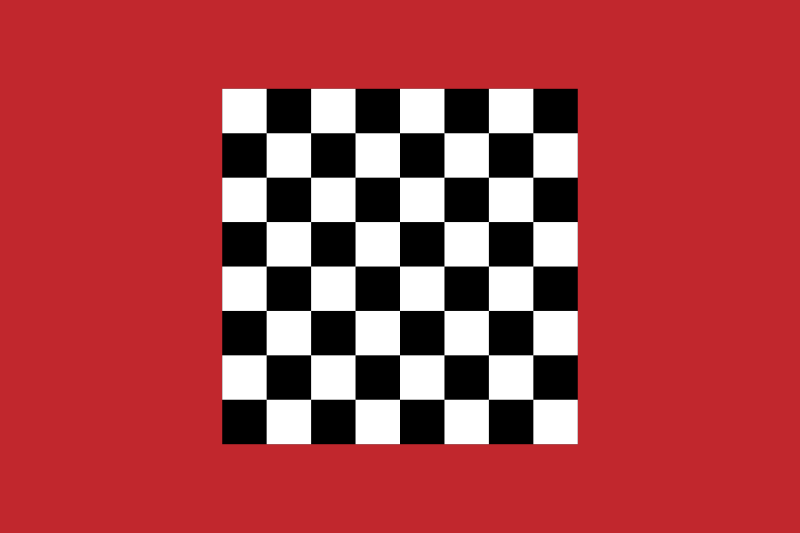 Egypt was not Almohad territory. Could Abd al-Mu'min have hankered for a gate of his own, a statement not just of his African conquests but also of his plans for the future of al-Andaluz? To complicate matters further, some authorities insist on calling it the Gate of Yussuf which might appear plausible as Abd al-Mu'min's son was called Yussuf - but unlikely as fatherly love was not an especially strong trait in 12th century Moorish culture. In any case one would have thought that Abd al-Mu'min would not have enjoyed deflecting any glory away from his own name and the heritage of Madinat-al-Fath. The evolution of Islamic Gibraltar as proposed by Ángel Sáez Rodríquez and Antonio Torremocha Silva. By their own admission in a more modern publication the plan is incorrect i so far as it should real as follows. 18. Sáez Rodríques suggests that this a typical Almohad feature but gives no source. 20. Tariq ibn Ziyad's exploits occurred in 711 or nearly 450 years before Madinat al Fath. 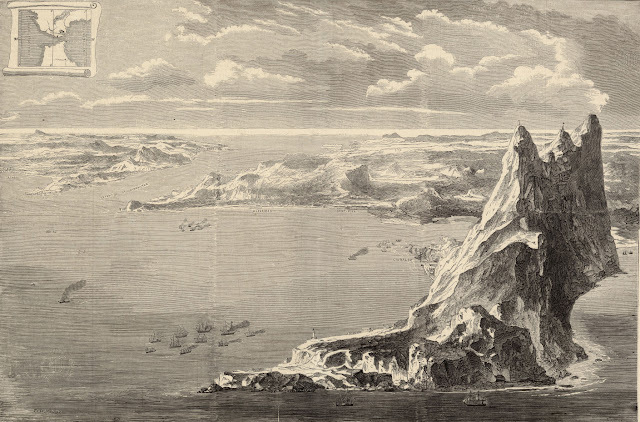 Quite frankly it is difficult to believe that absolutely nobody had ever considered building themselves some sort of a settlement on the Rock - no matter how hostile and uncomfortable a place. The academic Antonio Malpica Cuello of the University of Granada believes that there was something there but gives no source for his opinion. Las obras de los Almohades . . se centran en espacios para el nuevo poder. Las crónicas refieren, por ejemplo, los trabajos realizados en Gibraltar. Es una ampliación de la ciudad existente, pero de indudable importancia. Sáez Rodríques also tends towards the existence some sort of previous settlement or town.
. . . Cualquier vestigio de construcciones anteriores debió quedar desaparecido bajo la nueva fundación Almohade . . .
Llego la orden ilustre de edificar una ciudad grande con el más completo permiso de Dios y su ayuda, el cual levanto entre las ciudades y aldeas en la montaña dichosa, de antigua bendición, en la península de al-Ándalus, alto y empinado, la montaña de Tariq . . .
Reinhart Dozy in his Histoire des Mussulmans d'Espagne, writes that in 1067, al-Mutadid, King of Seville, ordered the Governor of Algeciras to improve the fortifications in Gibraltar because he was afraid of an invasion from the Maghreb. There must have been something there if it needed improving. The Arab governor of Gibraltar ordered to 'build a fort on Jebel Tariq and to be on guard and watch events on the other side of the straits' in anticipation of an attack by the revolutionary Almoravid sect. We know even less about Pre-Moorish Gibraltar but there is no reason to suppose that Tariq may not have found some sort of a town or settlement there when he arrived. Medieval historians such as Alonso Hernandez del Portillo suggest that both the Romans and Greeks left their mark on the Rock. la Turba bien se muestra en el nombre y se lo debieron imponer los Romanos porque Turba en latín quiere decir muchedumbre o gente en confusión . . . pues dice . . . que en este tiempo que fue muchos siglos antes que las Olimpiadas, quedaron en este sitio de Gibraltar chozas y caserías en forma de población; por lo cual, si lo antiguo adquiere nobleza, mucho lo es esta ciudad. The fact that Portillo also thinks that the Castle may have been part of one of the pillars of Hercules makes one believe that in so far as the history of the origins of the town of Gibraltar are concerned he is not to be taken too seriously. The same applies to that other medieval soldier and historian, Barrantes Maldonado who thought that the town had been built and populated by Hercules. 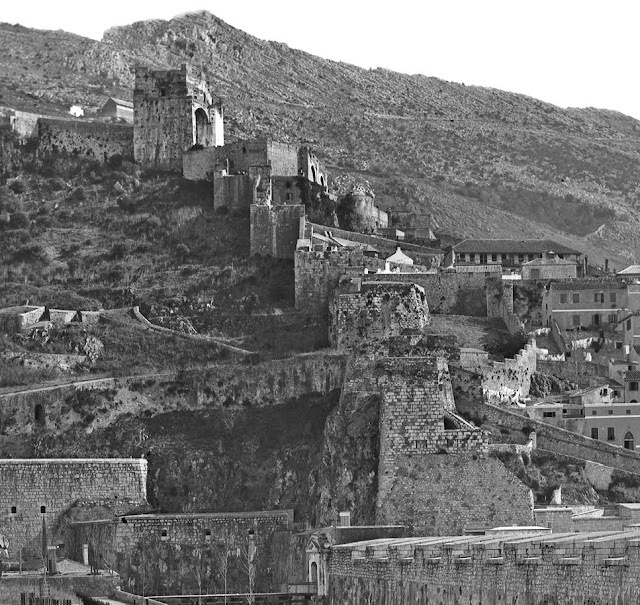 Although it is easy to make fun of medieval writers, the sad fact is that we haven't a clue as regards pre-Tariq settlements on the Rock. 21. The Spanish Historian Leopoldo Torres Balbás using several Moorish sources gives a summary of what the place looked like when it was finished. Entre las construcciones levantadas entonces, y que fueron las primeras de los Almohades en al-Andalus, cítance la mezquita mayor, un palacio para alojamiento del soberano, otras destinadas a sus hijos, y residencias para los principales dignatarios de la corte.. . . todo ello circundado por una muralla de hermosa construcción . . . The contemporary writer Ibn Sahib al-Sala gives us even more details. Even the foundations for the main buildings were a work of art as they were created using arches and domed structures in order to level the ground. The principle buildings which were constructed using dressed stone and put together with lime and their general appearance was as one would expect for anybody as wealthy as those who had ordered their construction. The work was of such high quality that if those who had been responsible for the construction of the palace of Sindad had been able to see it they would have found it superior to their own. The 'palace' is a reference to a semi-mythical, corniced and high-pinnacled palace of Hira built in the distant past by a Caliph called Sindad. Ibn Sahib, of course, had his own axe to grind as he was an employee of Abu Ya'qub Yusuf. One would hardly have expected him to criticise the consequences of decisions made by his boss on behalf of his all-powerful brother. 22. Local historian Tito Benady suggests that the Gate of Victory faced north and opened out from the northern defences of Villa Vieja. There was a strong gate opening out on what is now the King's Lines, which before the cliffs were scarped could be approached by a slope from the isthmus. This gate was known as Bab-al-Fath, the Gate of Victory . . I hesitate to say that a historian of such pedigree as Tito Benady could have got this wrong but I suspect he did in this case. If all other commentators are correct it definitely faced south not north. However, and despite the fact that no additional gate is mentioned in the literature I cannot believe that the town could possibly not have had access to the isthmus. I have therefore included Benady's gate but - with apologies to him - I have named it The Gate of Granada as there is historical and archaeological evidence for a gate of that name at exactly the spot mentioned by our great historian. 23. 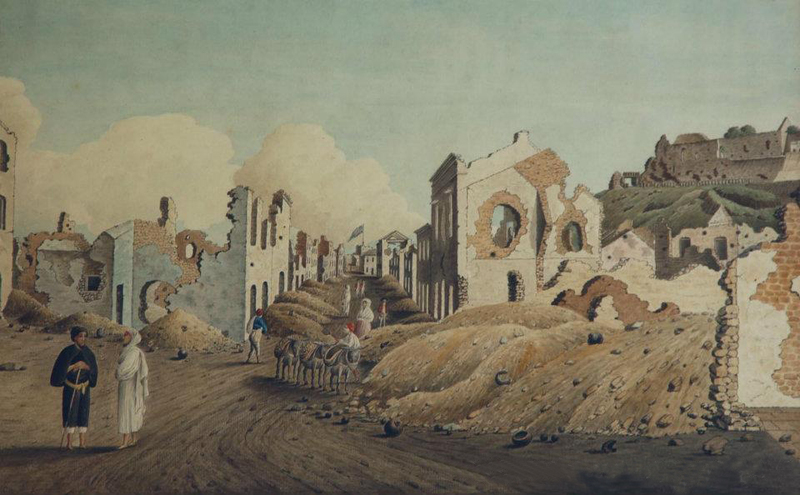 The British traveller Francis Carter ( see LINK ) , writing in the 18th century describes the ruins of a similar mosque - and its inscription just east of the castle. This was not necessarily the Almohad version but I have used whoever built it may possibly have done so over the original foundations - a very common practice in Gibraltar over the centuries. 24 . Al-Hajj Ya'ish's 'windmill' at the very top of the Hill is an oddity. Maurice Harvey blandly explains that it was used to grind corn. One can only assume he uses the word in its more general sense as 'corn' was unknown in Europe before the 15th century. In fact it is hard to imagine what it would have been used for. It could hardly have been for any sort of grinding purpose as the effort of getting whatever it was up the mountain would have been out of all proportion to whatever benefits might have been gained by being assured a decent wind. One possible if rather weak explanation is that both George Hills and Maurice Harvey were right and that Madinat al Fath was founded on the south rather than the north and that the 'very top of the mountain' was a relative phrase referring to Windmill Hill - which by its very name has long been associated with windmills - and which incidentally was tantalisingly known in Moorish days as Taraf-al fath. Accepting this theory gives us a couple of free bonuses. For example, Harvey is of the opinion that a small stone vent still to be seen on Rosia Road might have originally formed part of the Madinat al Fath's water system. If he is right. then it might just be possible that that enigmatic and incorrectly named building - the 'Nun’s Well' could have been Ibn Sahib al-Sala's reservoir or 'gran depósito construido con tal destino'. Free bonuses are always welcome but I have not taken the theory into account as it presents - to use a different metaphor - too many own goals for its own good. Silently to receive their potent lord. Anticipating still the wish he forms. I have not been able to find any details as regards his 'clever machines' in Gibraltar but have taken it as a distinct possibility that he might have attempted something like the above for the new mosque. One way or another, there is little doubt that al-Hajj Ya'ish, perhaps Gibraltar's first geometrician and engineer, was worthy of all those other brilliant men who came after him. . . una muralla en rediente . . formando un zigzag . . con el mismo modelo almohade que se puede identificarse en la Alcazaba de Rabat . . Nevertheless I would say that the origins of this wall date from the days of Madinat al Fath. The town could hardly have left itself defenceless on its northern flank. The wall has been enlarged and improved upon by both Spanish and British engineers over the centuries but has tended to keep its zigzag shape. It was probably the easiest answer to the problem and I like the idea of giving Ya'ish and his merry men the honour of having been the first to hit on the solution. . . Otorgó solares a los principales personajes del imperio que tomaron sus medidas para edificar residencias. .
. . . en una de las puertas de esta ciudad que está en Villa Vieja de ella, que dicen La Puerta de Granada, obra morisca y muy de ver, que con ser antiquísima parece que se acabo hoy de hacer, y es de admirable arquitectura, es esculpida una llave por la cual se entiende y por la tradición que traemos de padre a hijos que los moros tenían a esta Ciudad en España, o de su Reino en Granada.
. . . muchas labores arabesca de rara y graciosa arquitectura. According to Sáez Rodríguez the key is a powerful Islamic symbol that was commonly engraved above gateways such as this one. It appears in the Koran and - among other things - represents the key that will open the gates of paradise for the true believer. Although it is by no means certain that the Gate of Granada is of Almohad origin, I have no doubt that this kind of symbolism would have appealed to a religious fanatic such as Mu'nim. 31. The Spanish historian, Leopoldo Torres Balbás using Ibn Sahib al-Sala as a source as well as his own archaeological evidence offers the following information. Previamente se había excavado en la ladera de la montaña algunos lugares en los que brotaron fuentes, que fueron reunidas por medio de pequeñas regueras a una acequia que penetraba en la ciudad y vertía en una gran depósito construido con tal destino; el agua utilizábase tanto para beber hombres y animales como para el riego de los jardines plantado junta a la ciudad . . .
Local historian, George Palao writing in the 1970s makes al-Hajj Ya'iash the man responsible for creating the water system of Madinat al Fath and gives a lengthier and slightly different version. 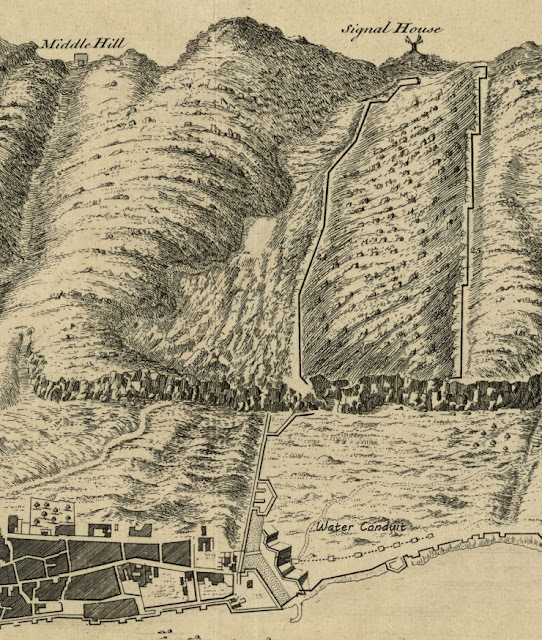 It then continued along open channels across the Red Sands Alameda, past the Line Wall, but within the masonry of the Moorish town wall defences, and from there was conveyed into the city by means of small channels to terminate in a huge cistern or reservoir near Water-port ( casemates Square) from where the Moorish galleys watered. Palao does not give references as to where he obtained those small but interesting extra details. . . it is not exactly known when the town of Gibraltar was built; for I cannot find any mention of it before the year one thousand three hundred and nine . . . The remains of a Moorish well stand close to the eastward house ( probably Nuestra Señora del Rosio ) from which earthen pipes went down the hill aslope through the line wall, at which place some of the Moors and Spanish galley watered ; part of the pipes are still to be seen. . . . . There are many Moorish wells dispersed through the garrison and you may know them from the Spaniards, being made in a different form.. . . It must be remembered that the moors had an aqueduct before the Spaniards and their pipes made of earthen ware and let into each other, went along and within the masonry of the town line wall, from South port, as the pipes have sufficiently witnessed in several parts, particularly at Water Port which was their termination, delivering he water to a bason or reservoir. These pipes I have often seen, and at Water port their gallies were built, and their vessels rode at anchor within the mole and therefore this was one of their watering places for their fleet. This is obviously where Palao got his information from. However, the British author's admission that he hadn't a clue as to when the town was built forces one has to accept that the above is pure guesswork and that much of what he and Palao describe may have been built - perhaps by the Moors - but well after 1160. I have nevertheless included some of the details because whatever else it might or might not have had, Madinat al Fath definitely needed some sort of water supply and very little has ever been readily available on the side of the Rock where the town was built. 32. 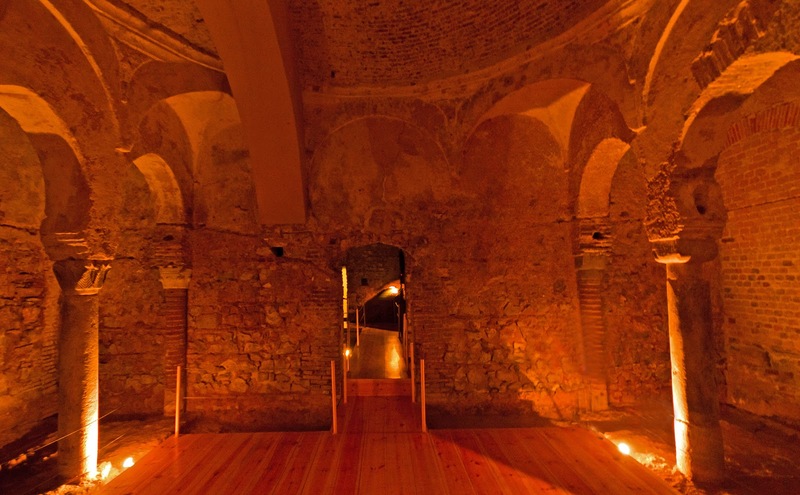 Tourist information at the Gibraltar Museum states categorically that the Moorish baths were built in the 14th century. Islamic sources of the day indicate that the construction included . . . a palace for the sovereign ( possibly the site of the present baths ) . . . .
Of course, this does not necessarily mean that the palace included any sort of bath - although Moorish palaces worth their salt in those day would definitely have had one. However, it seems to me unlikely that such an important building would have been constructed so far from the security of the town walls. As such I have opted for the middle ground until I learn of any archaeological finds to the contrary . And that is that a smaller version was constructed somewhere close to those still in existence today. Entrando el año 556 (1161 ) pasó el Rey Abdelmumen a Gebalfatah en la costa de Andalucía, que es GebalTariq, y le contentó mucho la disposición y fortaleza de aquella ciudad, y aprobó las obras acabadas de su orden. Estuvo allí dos meses. 34. There are few sources that specifically mention the castle and other descriptive words such as 'calhorra', alcazaba, or 'Torre de Homenaje' are noticeable for their absence. One possible reason is that offered by Sáez Rodríguez . 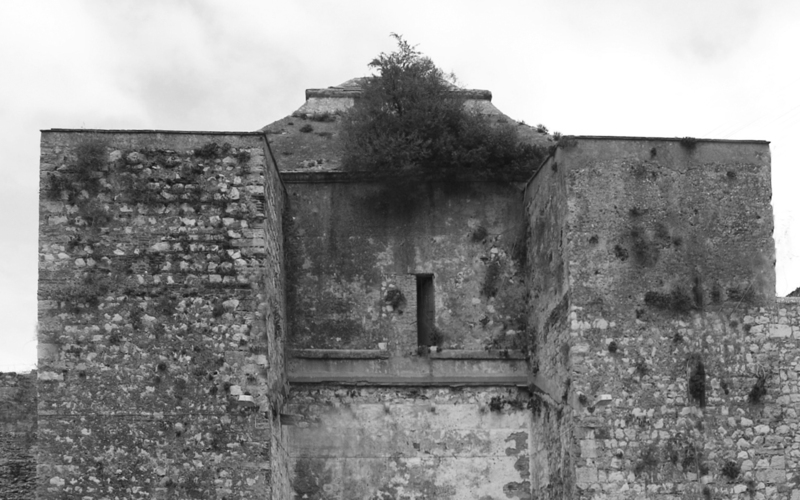 There was no castle as such but simply a reinforced tower on one of the corners of the defensive walls. La dificultad de llevar el recinto murado hasta la cresta de la montaña y de avanzarla hasta el tajo norte dejaba la nueva ciudad dominada por diversos padrastros desde por lo que podía ser amenazada . . . para contrarrestara ese problema se reforzaron las defensas del ángulo nordeste de la fortaleza, en un proceso que condujo a la conversión de su torre esquinera en la enorme Calahorra de la Alcazaba. Whatever it looked like, it was destroyed in 1309 when King Ferdinand IV of Castile sent Alonso Pérez de Guzmán to capture the town on his behalf. It was the first of Gibraltar's many Sieges. It seems that Guzman took advantage of fact that the castle and town were susceptible to attack from heights of the upper Rock . It was there that Spaniards built themselves a tower - known as La Torre de Alonso and used it to bombard the castle and the town below it. The fact that they used boulders to do this and in the process managed to destroy the castle, does not say very much for its defensive strengths. 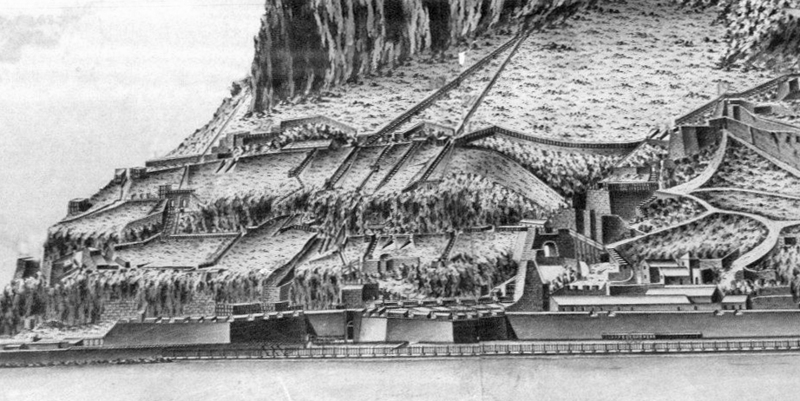 The garrison surrendered after one month and Ferdinand built a new one on the same spot. This one didn't last either. The present edifice according to that inveterate travelogue writer, Ibn Battuta was constructed by the Emir Abul-Hassan in the mid 14th century. Levantó la colosal torre que hay en lo alto de la fortaleza. Esa torre antes era una pequeña atalaya que fuera destruido por las piedras de los almajaneques y en su lugar construyó esta. Esa plaza no estaba entonces en el estado en que se encuentra ahora. Nuestro señor Abul-Hassan . . . construyó allí la inmensa torre en lo alto del castillo; no había al principio más que una torrecilla, que fue arruinada por las piedras arrojadas por los ballestas, y nuestro señor hizo construir en su lugar la vasta torre de que acabo de hablar. Ibn Batutta's una pequeña atalaya is now confirmed by Ibn al Juzayy as una torecilla - so much for Abd al-Mu'min's personally designed super fortress. He marched until he arrived at the city of Ceuta, crossed the sea and disembarked on Jebal al-Fath - the mountain of Victory - where he stayed for a few months. There he built a city with palaces and buildings such as exist to this day .